Is your daily fitness routine fun and engaging? For many of us, we associate going to the gym with phoning it in on the treadmill or spending 30 minutes suffering through a boring old dumbbell routine. While you’re certainly benefiting from this type of exercise, it’s unlikely that you’ll actually stick to a routine. We humans crave v ariety in our lives and exercise is certainly no exception to this rule. Using a medicine ball is an awesome way to add variety to your routine while getting an absolutely killer workout. These medicine ball reviews will help you choose the perfect ball to purchase for your workout routine. You’ll wonder why you’ve never used one before! Medicine balls with built-in handles are a really great choice for beginners, patients in physical therapy, or those with arthritis and similar conditions. The grips make holding on to the ball much easier when you’re rotating the medicine ball or moving around a lot. It can also give you more variety with exercises which is great when you’re trying to build up a routine that works for you. Milliard is lauded for their top-quality products and this medicine ball is no exception. It’s built to withstand all sorts of abuse including throwing, dropping, and a variety of weather. Many people like to use medicine balls in water to help with their resistance training. This ball is built from recycled tires so you won’t notice any damage after using it in water. The handles on this ball give an option of attaching resistance bands for added variety and intensity in your workout which is a great feature! The Milliard comes in a variety of weights so you can choose which is best for you based on your strength level. If you’re a beginner, typically a 6-10 lb ball is best. This will allow you to learn proper technique and avoid any injuries when using the ball. As you get more acclimated with using it in your workouts, you might eventually find you can handle a higher weight. SPRI medicine ball comes with an instructional DVD and exercises to get you started right away with your workouts. These workouts are thorough and designed to help you tone and build muscle quickly yet safely. One of the best things about this medicine ball is its ease on your wrists. The shape of the grips is easy to handle and can help to relieve wrist stress. Some medicine balls don’t have large enough handles for people with large hands. This ball has large grips that can accommodate larger hands while still not being too big the average sized hands. Are you unsure about which weight to order? Consider what you want to use it for. If you’re planning to use the medicine ball for more aerobic exercises such as swinging and throwing, stick to a lower weight like 6-10 lbs. Maybe you want to use the ball more exclusively for ab exercises or push-ups, a heavier weight such as 10-15 lbs. might benefit you most. If you have opportunity to try one at a gym, health club, or even a hotel if you’re traveling, it can help you assess which weight to get. Dynamax medicine balls are different from traditional medicine balls. These balls are padded on the outside, which allows them to be thrown, tossed and caught at high velocities. They’re built to absorb impact. This makes them perfect for throwing back and forth with a workout partner or carrying while running or doing some other form of cardio. This ball is one of the most popular models that Dynamax makes. It’s sturdy, durable, and perfect for users of all ages. The Accelerator 2 is available in a range of weights from 10-20 lbs. They’re especially good for crossfit enthusiasts and athletic coaches because of the versatility and durability that they offer. 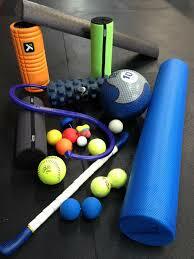 You can use them on the track, to play wall ball, or to run endurance drills. People love Dynamax balls because despite their soft outer padding, they maintain their shape both inside and outside. Some medicine balls are filled with sand and their weight shifts around. You won’t have that problem with the Dynamax. One of the best things about medicine balls is that they don’t need to be fancy, expensive or elaborate to be functional. The best choice for you might be to just get an solid, dependable 10-lb medicine ball! This classic medicine ball is the perfect choice if you’re looking for a good old-fashioned medicine ball that can give you versatility and reliability in your workouts. A weight of 10 lbs is ideal for most people as it’s heavy enough to help you tone your muscles but won’t put too much stress on your joints. This ball is made of sturdy rubber and has a textured grip. The design of this medicine ball makes it easy to slam against hard surfaces. It’ll bounce back quickly which can add an extra element of fun to your workout! You can use this ball with your bare hands or use weight training gloves if you’d prefer the extra grip. We all love to find the most “most bang for our buck” and this medicine ball is an awesome value. It’s incredibly versatile, sturdy, and at an excellent price-point to serve you well for countless workouts down the road. So you’ve been using the a lower-weight medicine ball for a while now and you’re ready for the next challenge in your workout routine. Consider investing in a 20 lb medicine ball to kick things up a notch. This ball has a soft outer shell similar to the Dynamax balls. 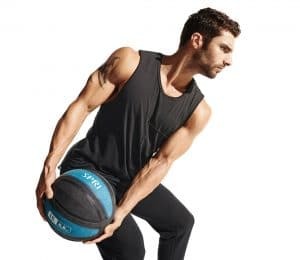 However, this medicine ball also has thick, heavy-duty stitching to allow for extra grip and flexibility with workout techniques. The Fuel Pureformance Medicine Ball is perfect for in-home use. It’s ideal for lifting, slinging, and ab exercises. At roughly 10″ in diameter which is smaller than the average medicine ball which are typically 14″, making it a little easier to work with especially if you’re a smaller person or a regular sized medicine ball feels too large. Medicine ball exercises are an amazing way of strengthening your core and toning your body all over. Doing this will help your overall health and aid you in other types of workouts, whether it be cardio, yoga or your daily stretch routine. Get out there, order yourself a medicine ball and try something new! Choosing The Best Massage Ball What Are The Best Self Massage Tools? How To Get Rid Of Plantar Fasciitis 5 Tricep Workouts to Get Those Killer Arms!